The transportation industry has managed to escape serious damage from the recent economic setbacks. 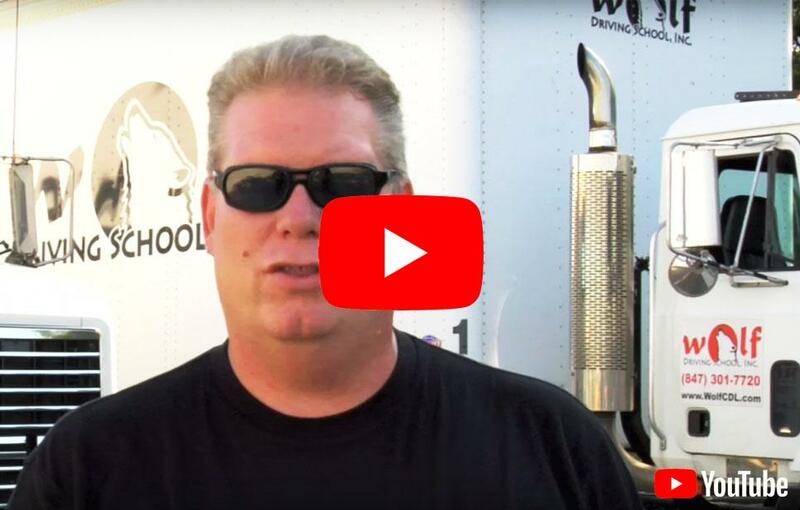 Wolf Driving School realizes that in spite of economic hard times, there’s still a need for a substantive trucking industry to dispatch food and other consumer goods across the country. There are additional reasons for Palatine residents to enroll in CDL Training at Wolf Driving School to become truck drivers. One reason is because of good pay. Many of the first year drivers earn approximately $35,000. Eventually, that can expand to an annual income of between $45,000 and $50,000 after several years in the industry. In addition, seasoned drivers, who have own their trucks, can easily earn around $100,000 a year. For a number of years, Wolf Driving School has been providing CDL training and truck driver training to Palatine residents. Additional endorsements are also offered such as: driving tankers, triples, passengers or hazardous materials. Wolf Driving School bases its business on the indispensible values of Honesty, Reliability, and Quality. Our instructors are only the finest and most highly-skilled in the industry. Additionally, Wolf Driving School owns and operates only the safest and most reliable equipment in the business. So that our students can work while attending school, we offer flexible scheduling of our CDL training and truck driver training classes. Wolf Driving School strives to help our students achieve their goals and objectives, in addition to training them to be successful, safe, and confident drivers. Palatine, Illinois, a village in Cook County, is a northwestern residential suburb of Chicago. As of the 2010 census, the village had a total population of 68,142, with approximately 26,276 households, making it the sixth largest community in Cook County and the 16th largest in the State of Illinois. The median income for a household in the village is $85,291 and the median house value is $287,374. Palatine puts metropolitan cultural and business advantages within easy reach, while providing an away-from-it-all hometown feeling for its residents. A pleasant mix of residential, commercial, light industrial and offices, surrounded by parks and open space, provide Palatine with a solid tax base and a tranquil atmosphere. There’s a sense of old-fashioned neighborliness abounding in Palatine. Furthermore, merchants take particular pride in treating their customers to hometown service and attention. With the recent growth recorded in the retail sector, there has been an increased need for CDL licensed truck drivers. Many of the Palatine residents have been exploring the possibility of entering into CDL training/truck driving training classes at Wolf Driving School. There are many reasons to take Wolf Driving School CDL Training and Truck Driving Training. In addition to a better salary, trucking gives you the opportunity to explore the country. Also, truckers deliver an important service to our nation. They deliver about 80% of all our products! With Wolf Driving School, the citizens of Palatine can get their CDL training and truck driving training and they can get a job through us. Call us today to enroll in our CDL training/truck driving training classes. You won’t regret your decision!